Plumbing problems are common to all households in Australia. Do you know that you can fix some of these problems without the need of a professional plumber? Well, this is very possible and some do not even require a skills or special tools to fix. We have rounded up with a list of DIY tips which can be of great help. If you have a problem with toilet flushing, then don’t worry. Bucket flushing would be the perfect DIY solution. You don’t need to panic or run to your neighbours any time you need to use the bathroom. 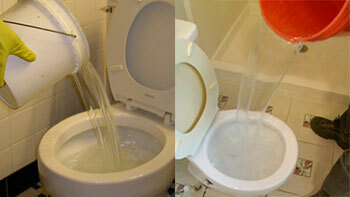 Take your two buckets and fill them with water, use the water to flush the toilet by pouring it into the bathroom bowl. This will work similarly as the flushing system. What would you do is a hard object plugs your toilet? With hard objects I mean comb, toothbrush or toys. This will not be the common clog that requires a plunger. Calling a plumber would be appropriate but you can also do it yourself. Get a wet/dry shop vacuum and use it to remove the objects by sucking the water and the obstacle. This will have saved you time and money. Creaking pipes in your house can be so annoying and troubling. The noise could be a result of hot water running inside the pipe leading to the normal expansion. This creaking can also be caused by the pipe rubbing against the hangers making noise when it scratches it. To fix the problem, buy adhesive-backed and cut it into strips. Remove each the hanger and wrap the pipes with the strips and refasten the hanger. Deal with noisy sinks can be so irritating when experienced. A sink is not supposed to make any sound other than that of water from your faucet. But you don’t need a toilet plumbing company in Cairns to fix this. Fill the expanding form between the two stainless sinks. The foam mitigates the vibration and minimises the gong effect. You can do this while the sink is in a place but much easier before installation. 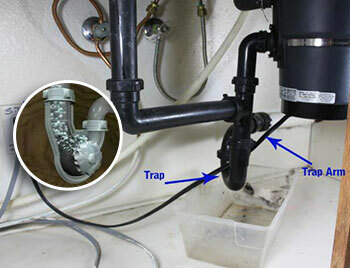 Clogged trap is another plumbing problem with kitchen sinks. This is a simple problem to fix. If the trap is clogged plunge water using toilet plunger before it is removing. This will empty the mess in the trap before removing it. Clean it and place it back.